Are you in for an exciting journey? 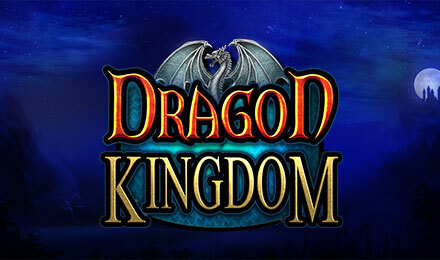 You will enjoy a fight for glory and riches on Dragon Kingdom slots where SUPER STACKED symbols will benefit you. Dragon Kingdom slots by Pragmatic play is a fantasy-adventure themed slot game, which consists of 5 reels and 20 paylines. The graphics and layout of the game are hard to miss. You will find the dragon queen and her clan of dragons landing on the reels to form winning combinations. You will discover that this game is encased by expanding wilds and also stacked wilds that will surely increase your winning potential. Landing three or more of the scatter symbols will award 15 free spins with a random multiplier of 2x – 5x.